Welcome to our Bartlett office offering chiropractic solutions for pain relief, alternative treatments for health conditions and overall health assistance. 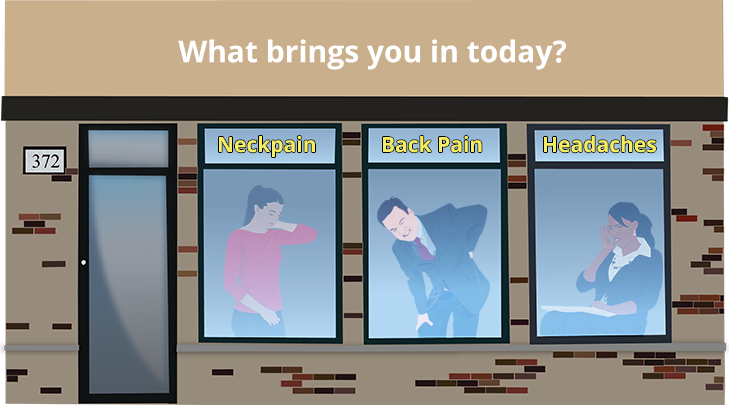 Schedule an appointment with one of our Chiropractic doctors online, call us today or walk in when you are in the area. Chiropractics includes a variety of chiropractic adjustments on the neck, the back, hips, shoulders, elbows, wrists, knees and ankles. We use multiple techniques that can accommodate kids and senior citizens. Our Chiropractic doctors will also educate patients on natural ways to live healthy and provide nutrition counseling. With a chiropractic approach, improvements can be immediate and can lead to long term wellness. Physical therapy is performed using ultrasound, electrical muscle stimulation, pettibon neck traction, therapeutic exercises, lower back decompression and strength training. It is very effective with correcting impairment and disabilities. There are multiple massage therapy options such as the Swedish, relaxation massage, the Deep Tissue massage, hot stone massage, foot scrub therapy, aromatherapy and the peppermint scalp massage. Massage should be used as a preventative therapy, but can also help relax your mind and body. Accurate evaluations of your condition is performed using an on-site X-ray, posture and scoliosis screening, myovision scan and a physical exam.